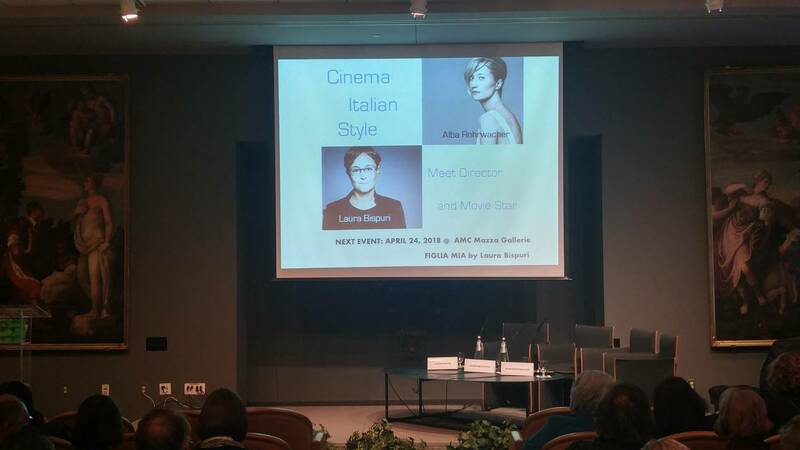 On Tuesday, April 23, the Embassy of Italy hosted an all-women conversation on Italian contemporary cinema with Italian Director Laura Bispuri and Italian actress Alba Rohrwacher, moderated by the President of the Italian Film Journalists Association, Laura Delli Colli. Bispuri and Rohrwacher arrived in the nation’s capital straight from the Tribeca Film Festival to present "Figlia Mia" (Daughter of Mine) at Filmfest DC. Rohrwacher discussed another strong tie between American and Italian films born out of the #MeToo movement. This global revolution gave a voice to women who experienced sexual harassment and inequity in the film industry, and has since grown to include women in all industries. 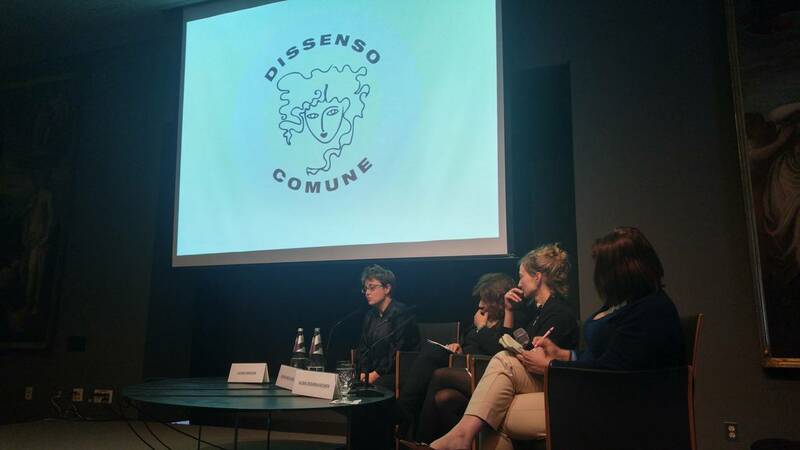 Rohrwacher is one of the 13 founding members of Dissenso Comune, the logo for which she designed. 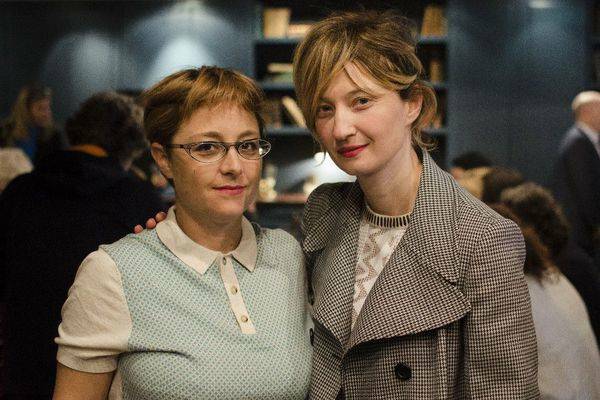 Like #MeToo, Dissenso Comune has allowed women in the Italian film industry to “uniamo la nostra voce,” to unite their voice, and add it to the global chorus. Dissenso Comune is not only raising awareness of harassment and abuse women experience, but it also aims to publish and present concrete examples. The group is for “tutte le donne,” lawyers, journalists, and all women who want to add their voice, not just women in the film industry. Dissenso Comune presented a paper to the President of the Italian Republic, asking for equal pay, to establish an ethics code, and among other things, education in primary school on gender parity and equality. Archaic, traditional landscapes and cultures serve as the backdrop, and according to Bispuri, are a “major ingredient,” to her exploration of contemporary issues that “really have always been there.” In Sworn Virgin, the transgender protagonist is set within and yet questions the ancient Albanian mountains and traditions. 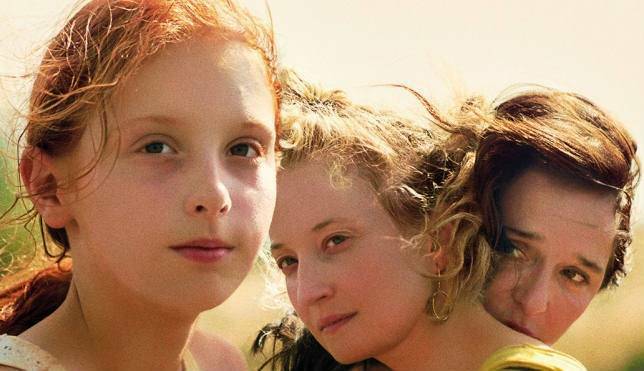 Figlia Mia “comes down to the same question.” It is the story of a young girl in Sardinia who comes to understand she has two mothers, one biological and one adopted mother. The ancient issue is who the child truly belongs to. Delli Colli noted comparisons between Anna Magnani’s portrayal of Italian mothers and Rohrwacher’s role in Figlia Mia. Although the mothers as characters are not similar, there is a certain “emotional investment and passion common to Italian mothers” that both Magnani and Rohrwacher bring forward in their roles. 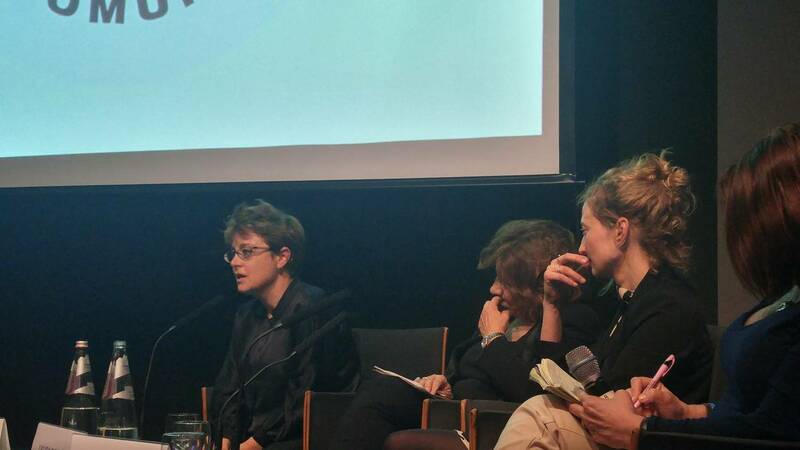 At the end of the event, Rohrwacher was awarded an Italian Cultural Icon award for her work with Dissenso Comune. Figlia Mia will screen on Tuesday, April 24 and Thursday, April 26 at the AMC Mazza Gallerie in Washington, D.C.